MNIT Notification is out. 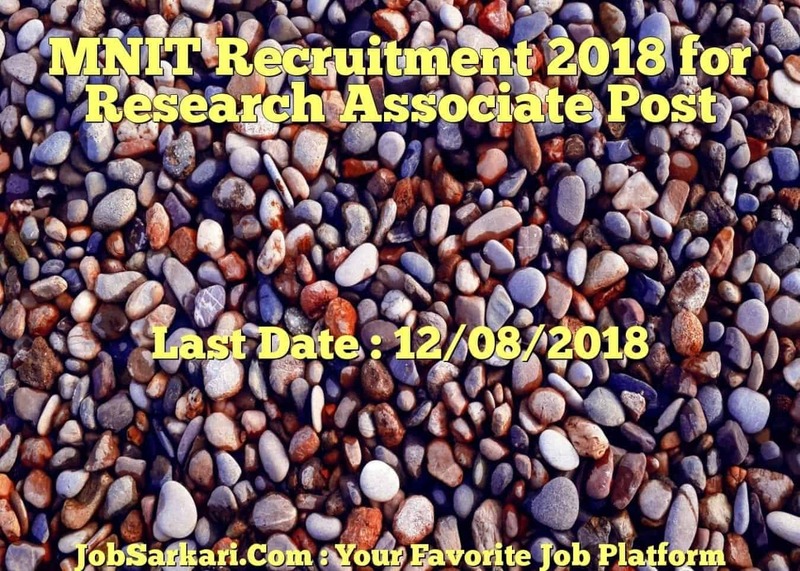 MNIT is recruiting for 01 Research Associate Post Posts. You can check MNIT - Malaviya National Institute of Technology last date, download MNIT notification, visit MNIT official website and check other MNIT Vacancy details.Complete Vacancy and recruitment Details about 01 Research Associate Post vacancies in MNIT are provided below by JobSarkari.Com only for you. Last Date to Receipt of Application Form 12/08/2018. Research Associate Candidate Must Have Passed Post Graduation in Management (MBA) / Economics / Commerce / Statistics / With M.Phil / Ph.D With 60% Marks. Max 35 Years. 01. 2.Candidate Need to Send the Resume Along With Testimonial to the Following Email Address o skumar.dms@mnit.ac.in On or Before 12th August 2018. Q. What is the Last Date For MNIT Research Associate Post Vacancy ? A. 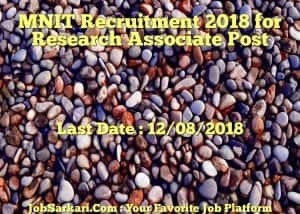 Last Date for MNIT Research Associate Post Posts is 12/08/2018. Q. What is the Form Type of MNIT Research Associate Post Recruitment ? A. The Form Type for MNIT Research Associate Post Posts is Online. Q. How many vacancies are available in Malaviya National Institute of Technology Research Associate Post Posts ? A. There are about 0 Vacancies in Malaviya National Institute of Technology Research Associate Post Posts. Q. What is the Full Form of MNIT ? A. Full Form of MNIT is Malaviya National Institute of Technology .